Whizzing around a hospital floor in Danbury, CT., HelpMate delivers patients' meal trays to hospital nurses. 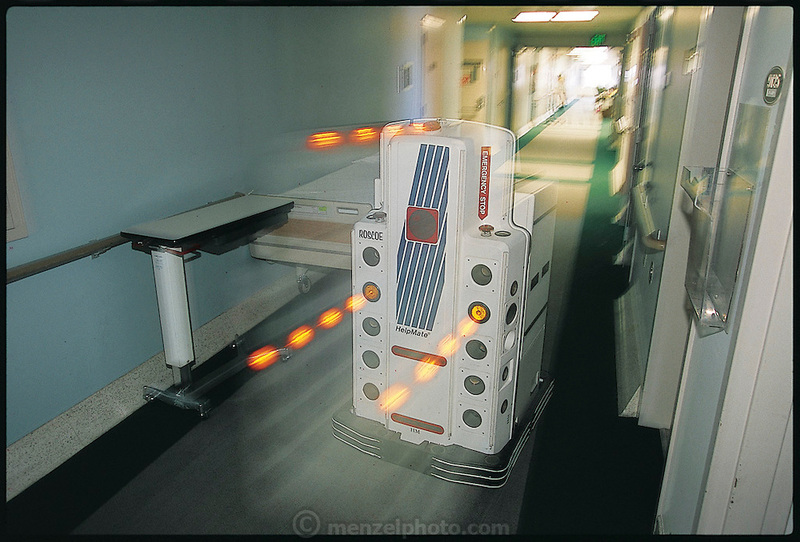 Now in healthcare facilities across the United States and in several other countries, the battery-operated, $100,000 HelpMate can transport food, drugs, and hospital wastes and even perform simple patient-care functions, such as guiding patients through hospital corridors. From the book Robo sapiens: Evolution of a New Species, page 186.